Jypyä Pop (Turku, Finland) on 13 March 2018 in Animal & Insect and Portfolio. toujours plus haut .............tel est sa devise! haaa là il est heureux Leevi!! J'aime ta photo ! Atta Boy Leevi !! Climb...climb..climb..right to the top !!!!! :)) I suppose Leevi wants to be able to go outside more often in winter. He must seize the moment to the fullest. @Graciel·la (Vic. Catalonia): Leevi selects very carefully the weather when it wants to go out. Today was rainy weather and Leevui looked out of the door for a while and came back inside. Ah, excellent protective coloration ! 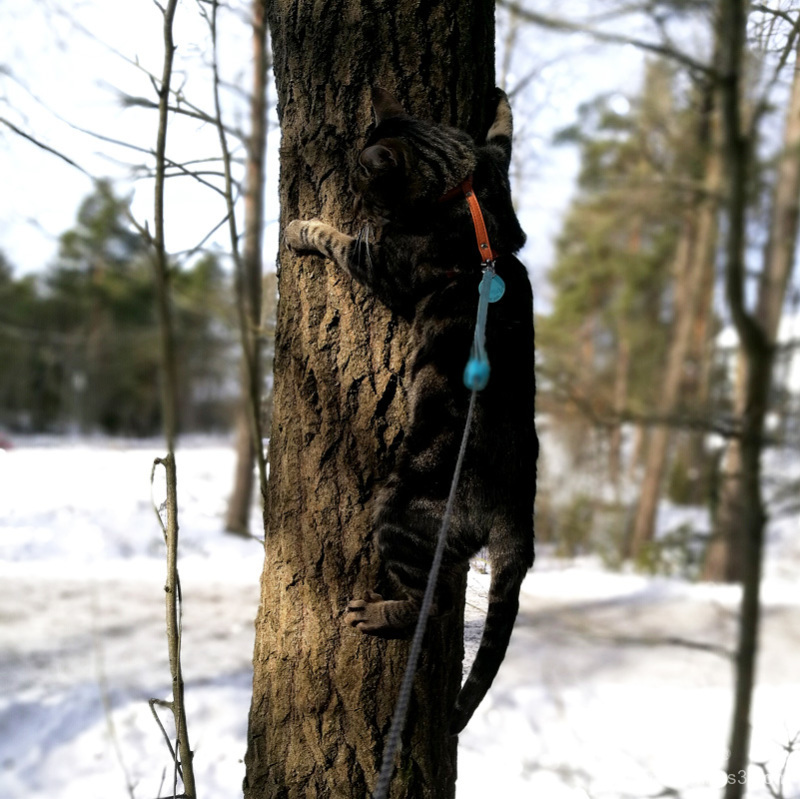 @Mhelene: Not bad, Leevi is a good climber. It can go up and come down. @Ruthiebear: Leevi blushed ... for joy and thanks for the courtesy. A great capture of a very adventurous Leevi!! Looks like Leevi is having fun. @Steven: Thank you. Cat really enjoyed. Leevi was outdated even more times to many days. Leevi is such a brave explorer! I know this pose. Nikon and Rocky say hello Leevi! ;-) Happy Silly Tuesday! @Sam: Thank you. Leevi is really adveturer, when weather is good.